Take this David Bowie! Looks like you're not the only music man in space. 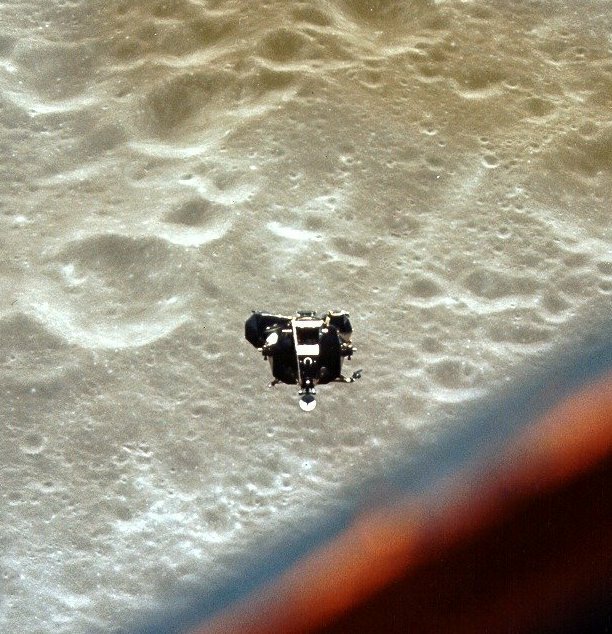 Astronauts on the Apollo 10 mission in 1969 reported hearing "strange music" while passing over the dark side of the moon, newly released audiotapes from NASA reveal. The crew, having lost all contact with earth, listened to the space tune for over an hour before rounding the moon's earth- facing side. Crazy! The music was so strange that the crew debated whether or not to mention it to their superiors at NASA. Take a listen here. Not exactly free bird! Anyone can see how this concert could give even the most seasoned space man the heebie jeebies. Some interstellar phenomena can never be explained. Spooky!